Tin House Books, 9781941040584, 300pp. Whether you're new to cannabis and need to walk through the basics, or you're an experienced grower looking to hone your techniques, Grow Your Own provides all the background and instruction you need to set up a grow space, raise your plants, and harvest your buds. It will teach you how to choose a strain based on its flavors and effects, how to to manage insects and molds without the use of pesticides, and how to mix just the right soil. 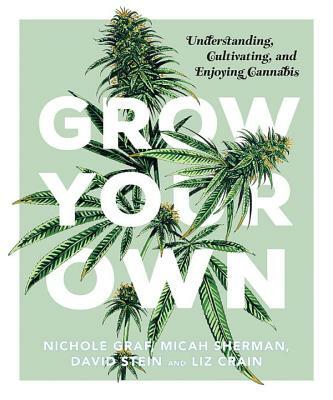 But Grow Your Own will also give you a primer on the myriad ways to enjoy cannabis--from carving an apple pipe to baking a delicious batch of pot brownies. With photography, visual aids, and illustrations from Allen Crawford (Whitman Illuminated), Grow Your Own makes cultivating cannabis as accessible as it is rewarding.